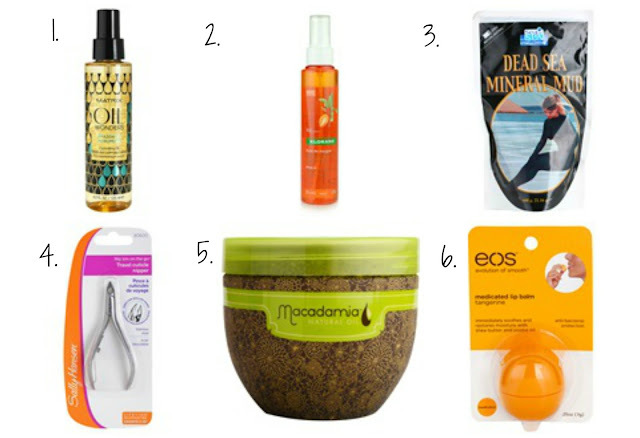 I love looking for new beauty products and trying them out. But there hasn't been any products that I have truly wanted. Sometimes products are extremely expensive, so it's really not worth the buy. While surfing the web I found Notino. This website is an online store and has pretty much anything you would want. One thing about this store that I notice is how affordable a lot of their products are. I like how they give you different options of sizes to buy. For example, for a smaller size it might be cheaper; which I think is great. I decided to make a wishlist of all the things I wanted from this store so continue reading for more! I have curly hair, so the struggle to find a product that I really like is quite the challenge. Oil is an essential part of my hair, because it provides moisture. The nourishing oil shine from Matrix Oil Wonders seems like it would be a great product to use. This particular product from this brand is for people with wavy/curly hair. That's one of the reasons why I want to try this. My hair is dry especially when summer comes around. All I want to do is put it in a ponytail. As soon as the humidity touches my hair, it become one big ball of frizz. When the hair is dry it gets brittle, therefore it becomes damaged. At least for me it does, so I'm very interested in trying Klorane Mangue oil for dry hair. I love facial masks, they really make a difference for your skin. They help exfoliate your skin to get rid of unwanted pores. I like trying new face masks; so I can't wait to use sea of the spa, dead sea mineral mud. It says that it's suitable for all skin types. So this is definitely on my wishlist. I am not a fan of hangnails; you know the piece of skin that decides to separate from the group? They drive me crazy. Usually when I'm at home I just grab my nail clipper, but when I am out of the house I have nothing to use. So when I saw the Sally Hansen travel cuticle nipper, I decided that I really want to purchase it. Macadamia deep repair masque is a product that I have wanted for a longtime. A lot of people have used it and I feel left out. My hair dries out fast and I could use the extra help. I love eos lip balms, my lips are very moisturized and they stay hydrated. One great thing about this product is how long it last. I used mine for at least two months. It's not greasy and it applies on the lips with ease. This lip balm is great for any season, especially during the summer and winter months. I have never tried the tangerine and I love the smell of citrus scents, so I can't wait to try this! I hope you enjoyed reading and let me know if you have used these products before!